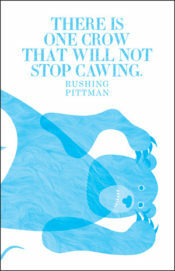 The short, staccato poems that make up Rushing Pittman's There is one crow that will not stop cawing are built on the kind of frank, vulnerable statements about desire and identity not often heard outside a therapist's office. These poems, which have the same weight and clarity as a child's inquiries about death or love, are a startlingly earnest reminder of how little certainty we have as adults, and the ways in which we still think and love like children. Pittman's titles themselves are a kind of poem—in the table of contents the stunning juxtaposition of the lines “I am retaining water, air, lungs / I am trying to become more myself so that I vanish / I have become quiet so the world will not swallow me” are an indicator of both the imagination and the openness that unfolds in the pages beyond. I will kill this year. Drop it at your door. In these lines the narrator has the sincerity of a cat dropping a dead animal at the doorstep. There is a comfort here with our natural, predatory instinct; the cat sees this innocent, dead creature as a gift rather than an atrocity, in the same way that Pittman's poems seem to accept rather than question the suffering that accompanies love. It is always beautiful somewhere. None of us deserve it. I am a large gem. I am an entire organism in the open world. The beautiful woman is coming over for dinner! I am making Kool-Aid in a big bowl. There is a great distance between us. I want to shove her into a pool. There is one crow that will not stop cawing is an honest book; honest about love, about want, about loneliness, and about the way we intentionally and unintentionally hurt each other. 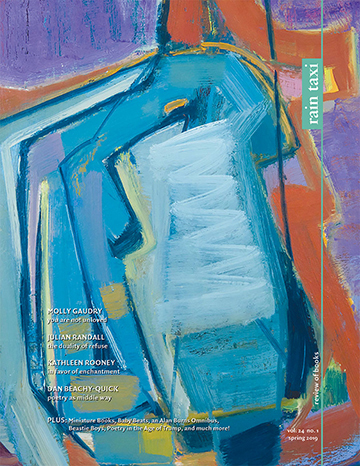 Short and fresh as the spring, these poems offer clearly and unabashedly all the thoughts we are afraid to speak to one another. This entry was posted in Uncategorized and tagged Fall 2016 on November 3, 2016 by Kelly.